The Iraqi-Canadian Association of Hamilton (ICAH) is a non-profit organization established in 2004 by Iraqi Canadian community in Hamilton. ICAH is not related to any political or religious association and not biased to a specific sectarian trend or ethnic group. 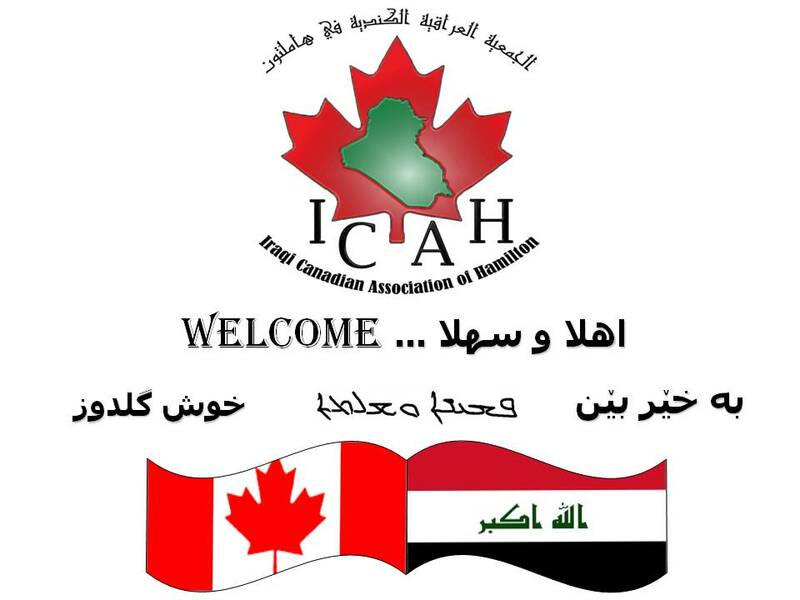 ICAH members reflect the people of the Iraqi community in Hamilton. ICAH‘s mission is to promote the values of Iraqi culture and history, contribute to the wellbeing and development of the Iraqi community, establish and maintain positive interactive relations with all other communities and service organizations.